German. But this activity can be used in other languages. Building vocabulary – learn about waste management and community heating. Work on child’s narrative competence*. Download and install the App of the e-picture book „Was passiert in der Spittelau?“. Tip | Many parents like to read a book first to become familiar with its content, before reading the book aloud to their children. Children often want to talk about what they hear or read. You should welcome interruptions as it shows the children are interested. Let them talk about their own experiences as this supports retelling, which is very important way to develop narrative competence. “Listen to the story or read it. Discuss the pictures and the story”, 10 min. If you have another language than German try to tell the story. Encourage your child to find things in the pictures, to speculate on what’s next and to ask questions. Try to find the sounds of the pictures and listen to them, 30 min. Behind several sections of the picture sounds are hidden. How many can you find? What sounds do you expect? Make some noises. Can you make the sounds? Tell the story to the pictures and record single pictures of the story on your own, 15 min. again, in your own style and languages. 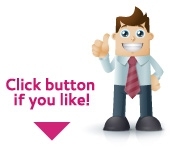 Maybe you would like to use different voices for different persons? Describe the details of the pictures, 15 min. Complete the Puzzle and describe the details of the pictures, the colour, size or material of the drawings. Maybe you are willing to translate the text in one of your languages and to share with others? - You find this and other acitivites online and can share via facebook. For further information see Multilingual Families Introduction for parents, with information on why to raise your children multilingually. 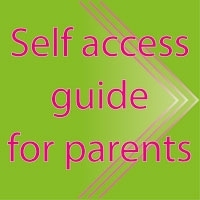 See also Multilingual Families Self access guide. 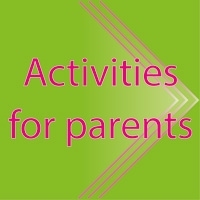 See also all activities online, where this and other activities are printable or find comments of parents on the material on facebook. Find all projects results on our Website. Pixi digital, „Was passiert in der Spittelau?”, 2012, Hamburg: Carlsen Verlag GmbH. This activity is inspired by: Eichinger M., 2011, Die Bedeutung der gemeinsamen Bilderbuchbetrachtung in der Familie für die Erzählfähigkeit im Kleinkindalter, München: GRIN Verlag.